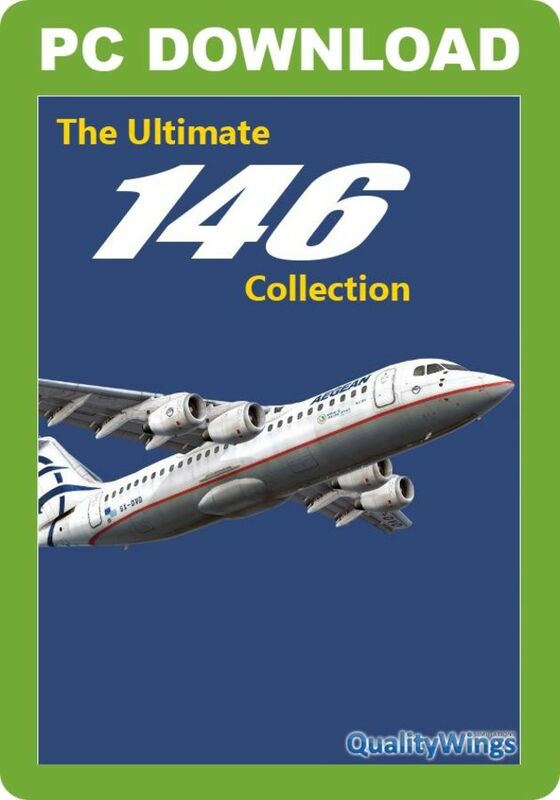 This Ultimate 146 Collection includes the BAe 146 and Avro RJ series, a four-engined regional aircraft series by British Aerospace. 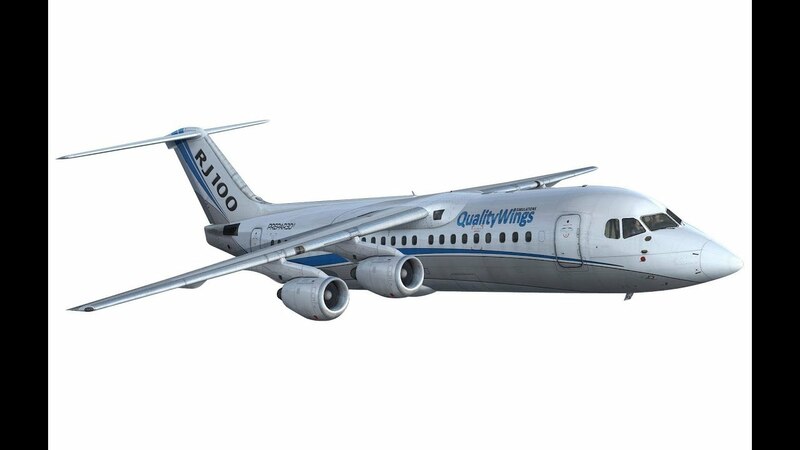 All produced passenger variants have been included, such as the old BAe 146-100, -200 and the newer BAe 146-300, but also the heavily upgraded Avro RJ series. 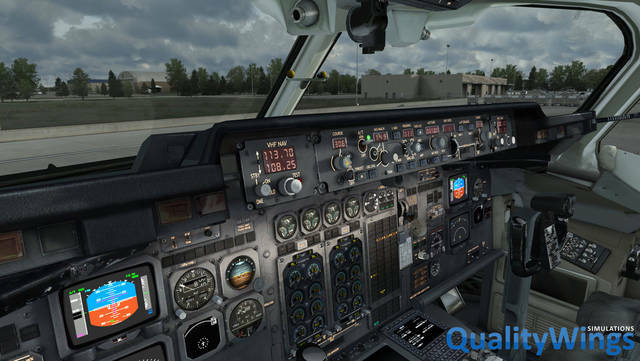 For your pleasure, every model comes with its own 2D Panel and Virtual Cockpit to fully capture the spirit and identity of these jets. See the Detailed Description below for more details! 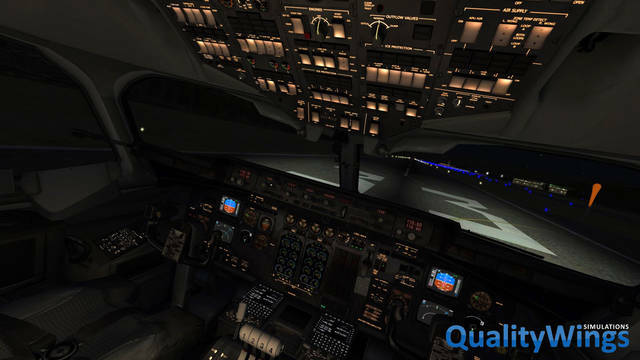 Detailed 3D Virtual Cockpit with parallel functionality as 2D environment. If it works in the 2D, it works in the 3D. 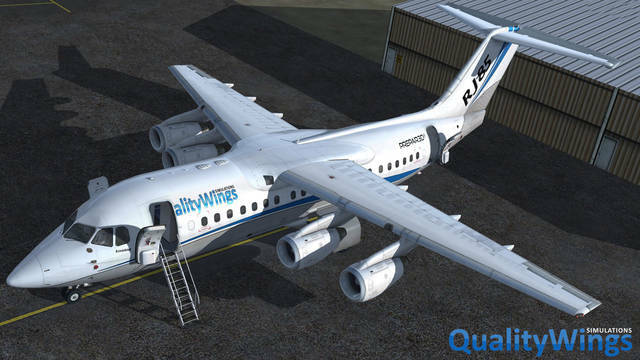 Customisable Ground Proximity Warning System (GPWS) with FULL altitude call-out. You choose which call-outs you want! 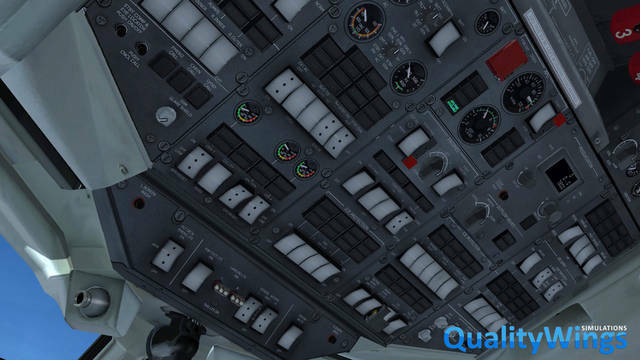 Standard and LITE panel modes available on the fly via the QualityWings Control Panel. 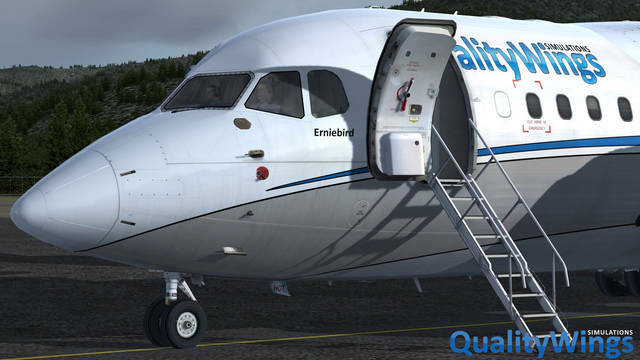 Standard mode balances realism and simplified approach. 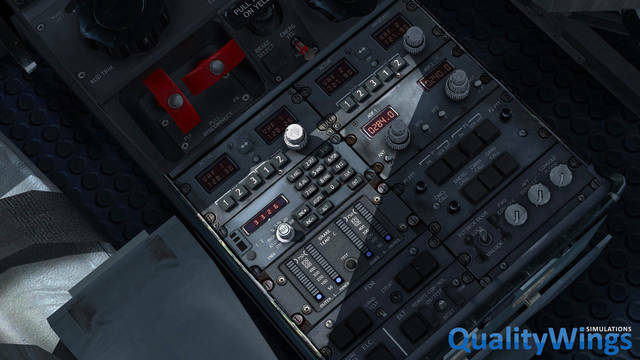 Optional LITE mode available for those who really want things SIMPLE. 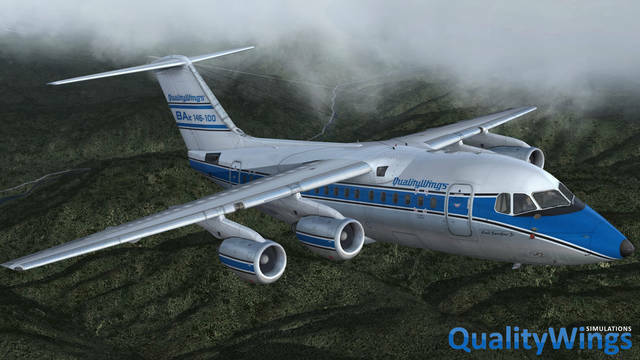 QualityWings' Ultimate 146 Collection for P3D v4 includes accurate and highly detailed -100, -200 and -300 models of the 146 as well as three models of the Avro RJ series. 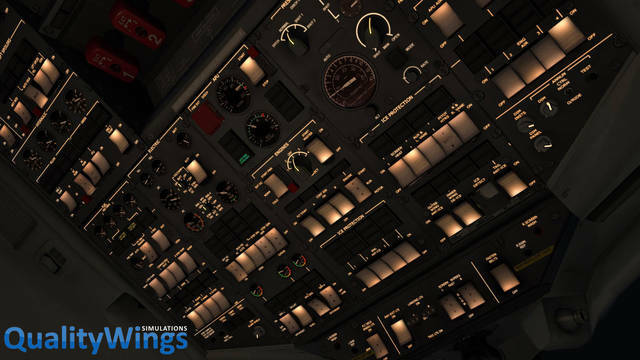 Depending on the model, three different 2D/3D cockpit layouts are provided - fully analogue, simple EFIS and full EFIS. 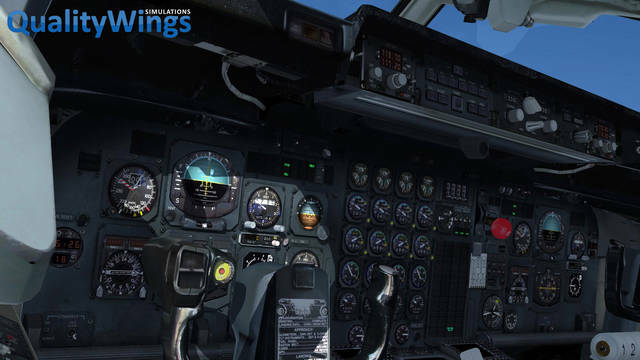 Over 100 realistic animations are modelled and among the cockpit features are two different Flight Management Systems, TCAS with aural warning sounds, customisable GPWS with full altitude call-out, autopilot with VNAV, LNAV, Flight Level Change and Autoland capability, over 200 annunciators and Standard and LITE panel modes.